Susan Brunel Antony (15 February, 15 1820 – March, 13 1906), was a distinguished woman and civil rights leader in the U.S. who played a pivotal role in the movement for women’s rights and women’s suffrage in the 19th century. She was a founder of the first Women Moderation Movement along with Elizabeth Keddy Stanton – who served as its president. She was also one of Women’s Rights – Revolution Magazine’s founders. She used to travel between the United States and Europe, delivering 75 to 100 speeches a year. Anthony’s place in U.S. history is unquestioned in regards to the recognition and endorsement of women’s rights – including the right to vote. 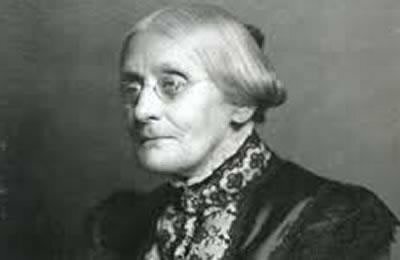 Her birthday, February 15th, is celebrated in the states of Florida and Wisconsin as “Susan B. Antony Day”. Photo: Susan Antony, being beaten before arrest for trying to vote in 1872. She was fined as 100$ for registering to vote. Women’s Suffrage in the U.S. Final motivation for achievingwomen’s right to vote across the states was World War One. After President Woodrow Wilson declared that the United States was fighting for democracy, women became furious. The Women National Party’s members displayed banners showing the lack of democracy in the U.S.
On January 1918, the President finally complied with the women protesters’ request during his speeches and defended women suffrage in his oration. The next year, Congress passed the 19th amendment, which granted women the right to vote in federal elections.